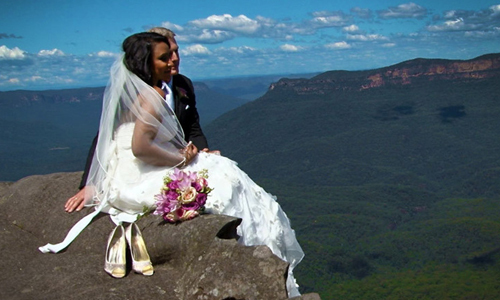 The Blue Mountains region lends itself to “weddings with a difference”. You may want to hold your wedding ceremony outdoors or in a garden setting and need to transport your guests and/or the bridal party to the location and return, or to the reception venue. With the range of vehicles available ranging from 12 seat mini coaches to the fun red Double Decker Buses, you can take the worry and hassle out of parking for everyone by chartering a bus or coach. If you want to decorate the vehicles this can be arranged prior to your charter. For guests travelling from interstate, we can meet them and transfer them to the appropriate accommodation venues within the Mountains to greatly assist the smooth running of your special day. It is your wedding, and obviously you have your ideas of what you want, but you are more than welcome to discuss with our team ideas that we have learned from other wedding transfers or short sightseeing tours while photographs are being taken. We are not wedding organisation specialists, but our experience over more than 30 years means that we are in a position to direct you to the appropriate people for photographers, celebrants, churches, musicians, out door venues, garden settings, rural settings and of course, a varied range of wedding reception alternatives.